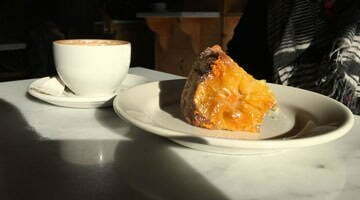 Barista Coffee NW 13th Open, Is It Bad Manners to Photograph Food? Barista Coffee, Billy Wilson's new venture is now open at 539 NW 13th street. He's got some beautiful equipment including a stunning vacuum pot, and coffee from Stumptown, Ecco Caffe and Chicago's Intelligentsia: you can pick which bean you want them to use for your cup. This makes for some interesting comparisons. Of … [Read more...] about Barista Coffee NW 13th Open, Is It Bad Manners to Photograph Food?